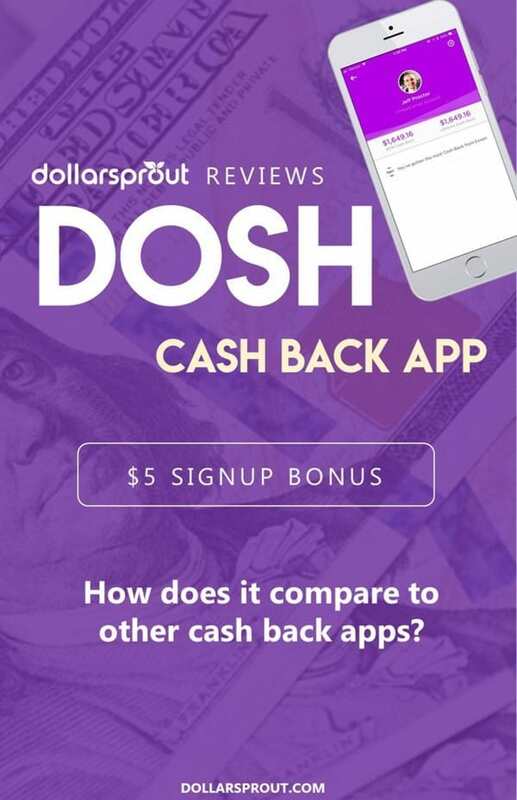 In this Dosh Review, we’re going to show you the details of how Dosh works, how it compares to other cash back apps, and whether downloading Dosh is the best choice for you. Download the app now and link your card for an instant $5 bonus. The Dosh App has received a lot of buzz since its official launch in late 2017. If you read a Dosh app review (or two) on the web, the general consensus seems to be that it’s the cash back app to beat in at least the next few years. In a world where Ebates and Swagbucks have typically dominated, Dosh has really come out of nowhere. Its “set it and forget it” approach, impressive list of participating merchants, and generous referral bonuses are more than enough to make anyone sit up and take notice. That said, many are still wondering if Dosh is a legitimate business or a scam. And with so many scams out there and apps that spam you to death, it’s a fair question. Dosh Review: What Is The Dosh App? What Are Some Participating Dosh Merchants? Should You Get The Dosh App? Simply put, Dosh is a smartphone app that gives you cash back every time you make a purchase at participating outlets using your credit card. Not having to jump through hoops to earn cash back is probably the biggest perk of Dosh. For instance, I’ve been getting cash back from Exxon each time I fill up my gas tank and I didn’t even realize it until recently. The money just gets added to my Dosh account. Just download the app, link your credit card (this is secure), then you’re off to the races. You can start shopping at participating merchants using your credit card and points will be added to your “Dosh Wallet” straight away. Once your balance reaches a minimum of $25, you can cash out via Direct Deposit or PayPal. 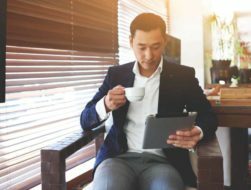 The company has formed a partnership with major brands, merchants, companies, and hotels to help you get some money back (up to 10 percent) every time you make a purchase. As with every cash back app, you have to spend money to save money. If you do a lot of shopping and reside in a location that’s close to many participating stores, then having Dosh will save you a ton of cash. 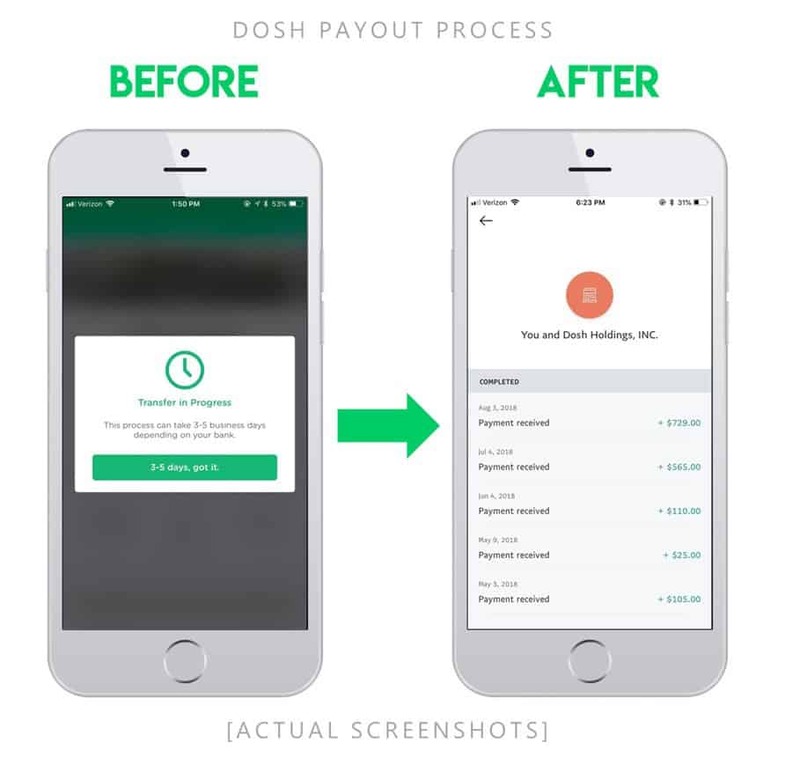 Dosh offers users several ways to make money or get some cash back. If you link your credit card with the Dosh App for the first time, they will instantly add $5 cash to your Dosh Wallet. There is no “unlocking” this bonus; you literally get it as soon as you link your card. And you can add additional cards for more cash. If you’re a frequent online shopper then you’d have a field day using the Dosh App. When you make a purchase at an online store by one of its participating outlets, the amount goes straight to your Dosh Wallet. Bought yourself a new pair of shoes at Nike? You get 4.5% of your cash back. Grabbed a bite to eat at Jack in the Box? 7% of the money goes back to you. No coupon, no receipts, and no scanning involved. Just let the cash accumulate in your Dosh Wallet. By booking hotels using Dosh, you are guaranteed a cash back for every night of your stay. And get this: you can even receive $25 by booking your first hotel through Dosh. That said, you have to complete your stay first before the money goes into your Dosh Wallet. August 2018 Update: It appears that Dosh is moving away from travel deals. Full Disclosure: This is where the majority of my earnings from Dosh have originated from. As soon as you sign up on the Dosh App, you’ll see the option Refer on the dashboard. Click on it and you’ll be given a referral code. You can then send this code to friends and family through email, text message, or social media channels. If one of the recipients clicks the link, downloads the app, and links his or her credit card, you earn a referral bonus of $5. If you could manage to get 25 friends to download the app and link a card, you’d earn $125! Think of the possibilities if you think you can do better than that! But if you want to earn the big bucks, referring businesses to Dosh is where it’s at. Refer a business to the Dosh App and you earn 20% of the business’ Dosh fees for two years. To become eligible, you need to agree to some terms and conditions and then fill out a form on the app. I haven’t tried this yet, but I’ve got my eyes peeled for opportunities! Cash back apps are nothing new. But unlike Dosh, similar programs require you to do a little bit of work before you get your cash back. 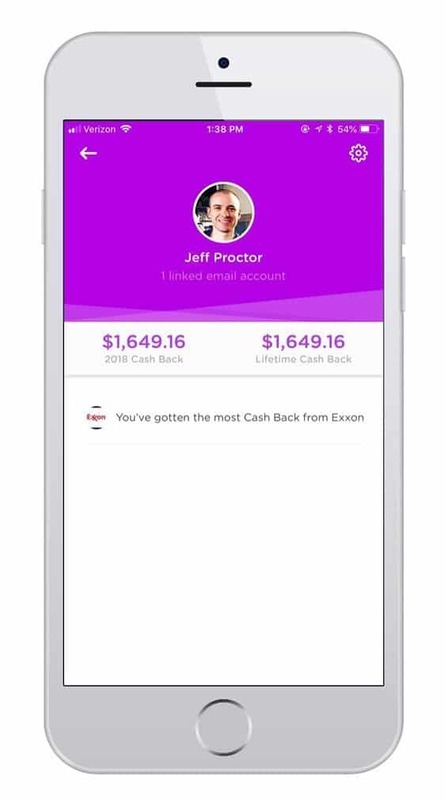 That said, some cash back apps have unique advantages that may make you want to give them a fair shake. As with the Dosh App, Ibotta gives you some of your money back when you make a purchase at selected stores, restaurants, and hotels. To earn cash back from a transaction, you have to scan the receipt for the sale using your smartphone. After taking a photo of the receipt, you need to wait between 24-48 hours before the money shows up in your Ibotta balance. Ibotta also offers cash back through referrals as well as special promo codes for bonus discounts. This is probably the biggest competitor to Dosh. Ebates has a $10 signup bonus and sometimes has better cash back deals than Dosh, but it’s a less flexible platform. In order to get cash back from Ebates, you must make your purchases through the app or by visiting their online portal first. The good news is, there is no rule saying you can’t sign up for multiple cash back websites or apps, so it doesn’t hurt to add Ebates to your shopping arsenal. Swagbucks works just like any other cash back app with the main difference being that it also allows you to earn free gifts and cash for the “everyday things you do online.” These “everyday things” include watching videos, shopping online, doing searches, answering surveys, and more. You can earn points (referred to as “SBs”) to redeem for cash back by shopping online at over 1,500 retailers including Walmart, Starbucks, and Target. You can get free gift cards to popular retailers like Amazon and Walmart by redeeming your points through the Swagbucks dashboard. If you prefer cash, you can have your points converted into cash and deposited to your PayPal account. Read our Swagbucks Review here. As the brand’s tagline states, InboxDollars is “the online rewards club that pays”! Since its launch in 2005, the rewards program has paid a total of $25 million to its members and counting. Just like SwagBucks, InboxDollars rewards you for doing stuff online, such as watching TV, taking surveys, shopping, and more. Read our InboxDollars Review here. Launched in 2009, Shopkick (via iOS or Android) now has millions of users who regularly earn rewards for shopping both in-store and online. The company has a solid list of partners, including American Eagle Outfitters, Best Buy, eBay, and Groupon. Like every rewards program, Shopkick has its own rewards system. You buy an item from a store, scan a product, and you get “kicks” as a reward. The “kicks” you earn can be redeemed for gift cards or physical gifts. So is the Dosh app legit or a scam? Judging from my own experience and the positive reviews of others, it’s safe to use Dosh. While the product is not perfect, multiple online sources and personal accounts can attest to the fact that the Dosh app is a legitimate business. If you’re the super paranoid type, then you’d sleep better knowing that all transactions taking place in the Dosh App are SSL encrypted, meaning that it’s highly unlikely that the data can be accessed by third parties. Since November 2017, the Better Business Bureau has determined that Dosh Holdings, Inc. meets the agency’s standards of accreditation. The company has an A- rating. Not bad! As of this writing, the Dosh App is only available to those who are living in the United States. With Dosh’s growth, though, I wouldn’t be surprised to see international access opening up in the future. Are you registered under the Yelp Cash Back program? You won’t be able to use Dosh then (with the same card, at least), as Dosh prohibits the use of cards that you are using on similar sites. As far as participating merchants go, Dosh boasts an All-Star lineup. They’ve got Nike, Walmart, Gap, Fitbit, Sam’s Club, Callaway, Patagonia, Snapfish, Forever 21, Hilton, Jack in the Box… you get the idea. If you’re already doing regular shopping (who isn’t? ), it certainly wouldn’t hurt if you can get back some of the cash you’ve been spending. It’s even better if you live in an area populated with businesses participating in the program. If you love to travel, the Dosh App has great hotel offers that can significantly cut down on your expenses. The biggest perk of Dosh over other cash back apps is that Dosh allows you to enjoy cost-saving benefits without any hassles. There are no hoops to jump through to get your cash back, which is so refreshing to see. More importantly, the Dosh App is not a scam. It’s a legit business that can provide long-term benefits to regular or frequent shoppers. Hi Jeff I myself like the app I just can not get anyone of my friends to even give it a try. I also sent a link to my daughter and had her put it on her social media accout of course she has thousands of fallowers. And knobody has used the link. I have no referals. Is this normal. I have sent out to everyone in my phone and email list also. Is there anyway to get my side to grow on the referal side. Father of 3 strugling to feed them and there all there pets too. I saw the link to this app in a FB post. Between the reviews and this awesome article I’m in. Thank you so much. Thanks for this article. I redownloaded the app because of this. To clarify: so, for example, I could sign up for both Ebates and Do$h, but Do$h would just require me to use a different card? Slow depositing apparently aa I’ve been waiting for my first $38 payout since 12/27 still pending on their end. How long does it take? I’ve been having the same trouble. Have you had your money deposited yet or has it still been saying pending? I (we) are not aware of any daily (or monthly/yearly) earnings cap with Dosh. Have you been hitting some sort of roadblock? Hi, I’ve been using Dosh for a while now, but I recently had my card renewed with the chip in it. I know that I need to do credit transactions to receive the cash back, but sometimes the card reader forces it as a debit. I have looked on the Dosh site and it says to send an image of the receipt to get the cash back, but I can’t figure out how to do that. Any ideas? Thanks. Hey Mary — you’re totally right, sometimes it forces debit on customers and there really isn’t a way around that, unfortunately. All you have to do is send a picture of your receipt to Dosh Support according to this FAQ article. (There is a “Submit Request” link in the top right portion of the page). How can Sam’s club be linked to this app when you can only use cash or a debit card when making a purchase? Dosh requires you use a credit card and Sam’s won’t allow you to use the debit card option on your card at check out. Dosh will let you link a debit or credit card. If you do use a debit card in a store, you’ll need to utilize the “use as credit card option” you’re referring to. If a store does not allow you to swipe as credit (although most do), you can always take a picture of your receipt and send it to Dosh support if necessary. It is rare to have to do this, however. I really rather use my desktop computer to do this IF I am interested. I read this page to make sure it is not a scam. I can’t see a way to link up businesses with Dosh. Can you point me to a link? I used Dosh all last year with ease 2018. I have not had one deposit this year and I use the stores listed and have gotten no money back. Pier one, Kroger, Sams. I sent an email to DOSH and they did not understand. I re entered in my CC ….still nothing. I am very disappointed. I did read one thing that said if you use a similar app. But I don’t…. I use Ibotta and have before with no issues. Can you help? I bought some Disney gift cards at Walmart. I already had my debit card linked to Dosh but haven’t received any credits to my account. Do gift cards count? It’s been about a month. Vindale Research Review: How Much Money Can You Make Taking Their Surveys?